Get high-quality results at 2,400 dpi optical resolution and 48-bit color. Automatically feed documents unattended and automatically scan them on both sides. 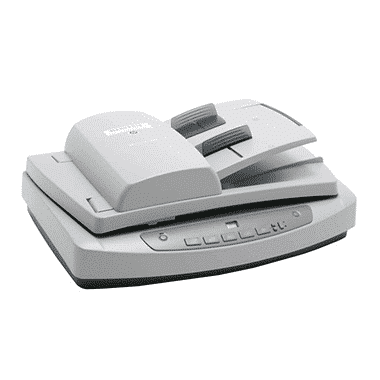 Load your originals, then press a button—the HP Scanjet 5590 does the rest. Use the five easy one-touch buttons for scanning documents and photos, filing documents, sending e-mail, and accessing the copy functions. Scan 35mm slides and negatives with the included transparent materials adapter, plus documents, pages of books, and 3-D objects. Scan fast, up to 8 pages per minute, 4 images per minute. Ensure compatibility with your existing data management systems using the TWAIN drivers.